Wat Zoo Exhibit #7 - Sultan M. Munadi: An Optimist in Afghanistan - R.I.P. Sultan Munadi was the Afghan journalist (and translator for Stephen Farrell of the NYT) that got killed on SEP 09, 2009, in a raid of British SOF to free him and Stephen Farrell when they were held hostage by Taliban. In the attempt to free both, also an unnamed British SOF soldier was killed, R.I.P. Someone loomed out of the dark. I lost my balance and fell back, my leg still somewhat impaired from the motorcycle accident. It was Sultan, in the last minute of his life. He held out a hand, steadied me and asked if I had my contact lenses in, which I had. With him already in front we crouch-ran along a very narrow ledge of earth — less than a foot wide — along the outer wall of the compound. It was dark. There were trees to our left and a high mud-brick wall to our right. We could see nothing more than a few feet in front of us. We had no idea who was where, and there were bullets flying through the air. I could hear Taliban voices shouting and shooting from trees to our left, I thought. I could also hear indistinct voices ahead. We continued 20 yards along the wall until it suddenly reached the corner. With the still indistinct voices ahead — but I do not know what Sultan could see or hear — he carried straight on beyond the corner of the wall, bringing him out into the open. Wearing the same pale salwar kameez he had worn for four days he raised his hands and shouted, “Journaliste, journaliste,” even as he stepped out. It was accented, in exactly the same way he had used 1,000 times in four days talking to the Taliban. In the dark I could not see around him to discover who he was trying to reassure: the troops that he wasn’t Taliban, or the Taliban that he wasn’t a soldier. There was a burst of gunfire and he went down immediately. In the dark, with firing all around, trees everywhere and my view obscured by him and the wall, I did not know whether the bullets came from in front, to his right or to his left. Hell? No. I Won’t Go. I grew up in the Panjshir Valley, in a place that is a three-hour walk from the nearest road. We don’t have a lot of iron there, we don’t have concrete, we don’t have these artificial things. It’s a completely natural place. I grew up there, and when I went to Germany to study for a master’s degree in public policy I saw concrete everywhere, a lot of glass, asphalt and artificial things. It was depressing, very boring for me. I was dreaming of the dust, I was dreaming of nature in my country, of the mountains. It’s really nice to be back for a while, it’s very hard to be away for two years. If I were a teenager, it would be easier to be integrated into the society in Germany, but now at the age of 34, it is difficult to be away from my country. I would not leave Afghanistan. I have passed the very darkest times of my country, when there was war and insecurity. I was maybe four or five years old when we went from my village into the mountains and the caves to hide, because the Soviets were bombing. I have passed those times, and the time of the Taliban when I could not even go to Kabul, inside my country. It was like being in a prison. Those times are past now. Now I am hopeful of a better situation. And if I leave this country, if other people like me leave this country, who will come to Afghanistan? Will it be the Taliban who come to govern this country? That is why I want to come back, even if it means cleaning the streets of Kabul. That would be a better job for me, rather than working, for example, in a restaurant in Germany. Being a journalist is not enough; it will not solve the problems of Afghanistan. I want to work for the education of the country, because the majority of people are illiterate. That is the main problem facing many Afghans. I am really committed to come back and work for my country. A true loss for Afghanistan. 680 Eighth Avenue, 3rd Fl. Checks must be made payable to “The New York Times,” noting Sultan Munadi’s name in the memo field. 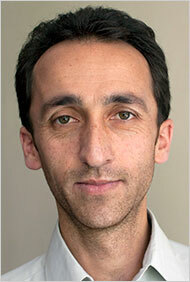 Re: Wat Zoo Exhibit #7 - Sultan M. Munadi: An Optimist in Afghanistan - R.I.P. So sad to lose such a good man. It's is a loss for that country, yes. Very unfortunate. What he should have done was hit the deck and not move.